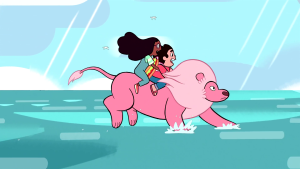 There is a long list of things to love about Steven Universe. A lot of praise gets heaped onto the characters’ songs, and with beautiful lyrics and stellar singers, it’s not hard to see why. We wanted to take a step away from showstoppers like “Stronger Than You,” and focus on the the “electro-cute” score by composers Aivi and Surasshu. 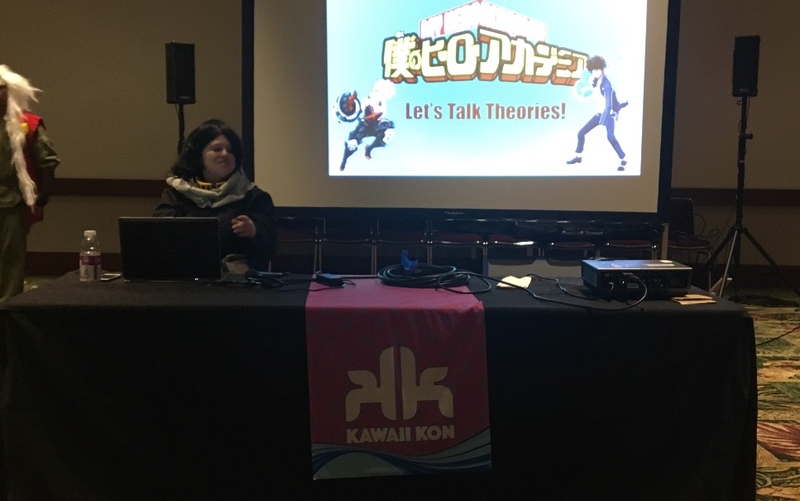 Specifically, we’ll be looking at the non-diegetic score; that is, songs with no-universe source (sorry, “Meat Beat Mania” theme). Steven is a sweet, good humored character, and most of his songs reflect that— as such, it’s pretty refreshing to get one which highlights another side of him. “Decisive Path” oozes with his justified rage, resentment and determination after he discovered the Crystal Gems tricked him to soothe his feelings. 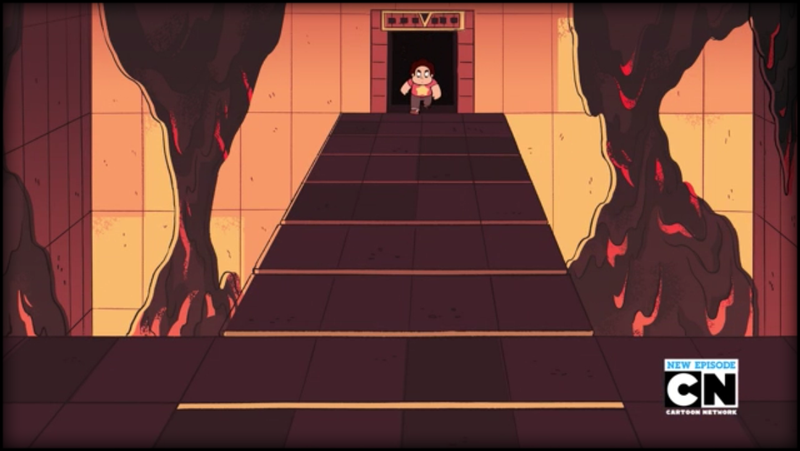 It’s an excellent use of musical storytelling, matching Steven’s movements as he stomps through the obstacle course’s fake dangers, even incorporating the notes of Pearl’s musical portion. 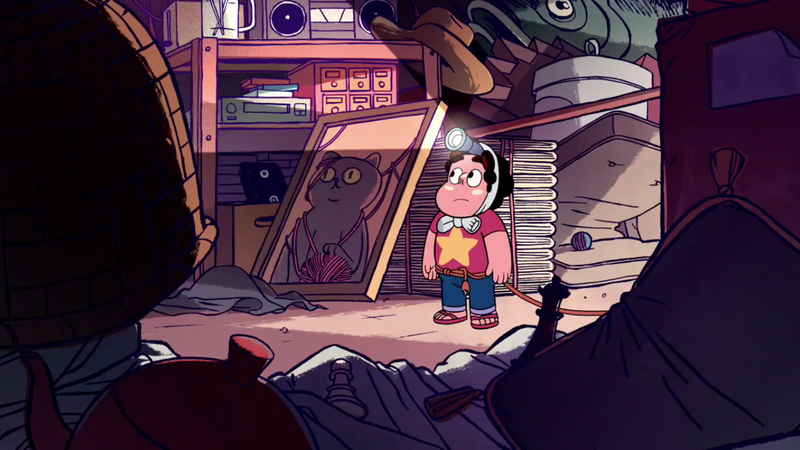 The chiptune elements of the show’s score come right to the forefront, which is perfectly fitting considering Steven is basically inside a giant VR video game. I find the technological, industrial beat particularly reminiscent of the Portal games’ soundtrack at times. At the very end, however, the song swings up into a heartwarming reprise of “We Are The Crystal Gems”, as Steven pushes aside his own insecurities to console and reassure the family he loves so much. Any discussion of the season one finale, musical or otherwise, understandably tends to gravitate towards “Stronger Than You,” which is makes it easy to forget how strong everything else in this two-parter also was. Malachite— both the song and the character— is dangerous and discordant, ugly and unpleasant. When watching the episode for the first time, it’s wonderful at building tension and fear. It works perfectly as a misdirect; if anything, this song is all about Lapis, Jasper and the inherent unhealthy, abusive nature of their relationship. Strings, piano, bass and static clash together into something heavy and oppressive. It’s no secret that the first half of season 1 of Steven Universe goes through some growing pains–but the music was fabulous right from the start. “Dad Museum” is a great sample of the masterful way the Crewniverse weaves lore, foreshadowing, and characterization into every aspect of their medium. On one hand, it’s a great exploration of the show’s theme of finding the majesty in the mundane, whether it be hot dogs or storage sheds. 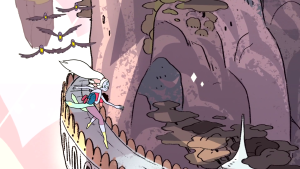 Yet there are also hints of futuristic elements, a nice nod to the Gems’ true origins. Here’s a fun exercise for rabid theorists: pay close attention to the end of “Dad Museum” (at 1:33) and compare it to Blue Diamond’s theme. We are currently halfway through season 2 of Steven Universe, and Rose Quartz is still shrouded in mystery. 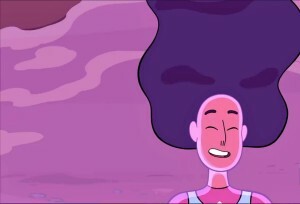 We know she was beautiful, we know she was compassionate, and we know she was complicated–all things shared in common with “Rose’s Fountain.” It comes during the falling action of an intense episode, and soothes the audience’s frantic fear for Amethyst’s well being just as Rose’s lachrymal essence healed her Gem. 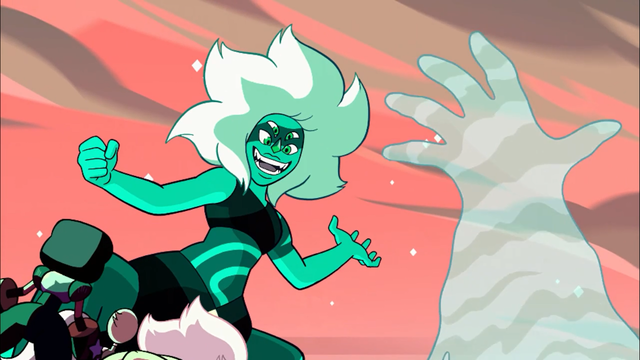 Fight scenes are usually chaotic, wild things, but Steven Universe often takes a different approach, looking at them as dangerous, but beautifully choreographed dances. 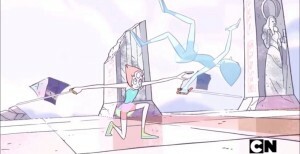 Each of the Gem’s combat styles is based on a different form of dance, and few battles show off Pearl’s ballet-inspired technique better than her fight against Holo-Pearl. This song weaves the piano of Pearl’s leitmotifs to create a flowing melody that matches her graceful movements on-screen, as she elegantly twirls around her opponent. Beneath its classical structure, however, there is also jagged jazz edge. 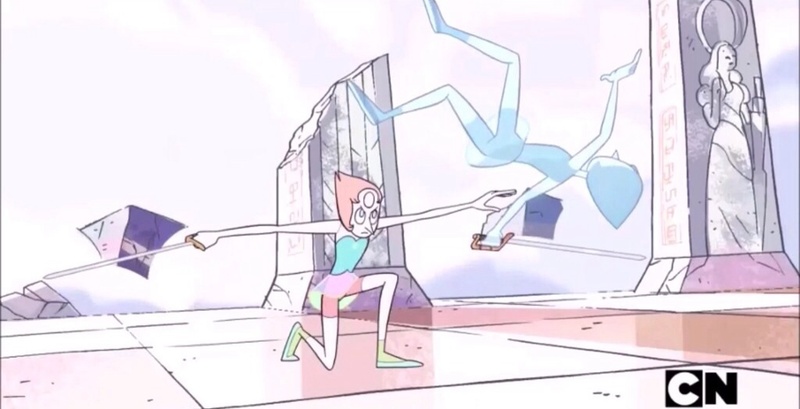 While Pearl may be a pristine perfectionist, she’s also the “terrifying rebel,” sharp as the swords she wields. If one were to ask for a sample of music that encapsulates the spirit of Steven Universe, “Lion’s Ocean” might be a good option to send them. 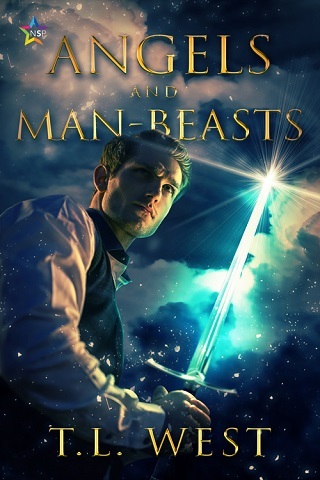 It is gorgeous, full of whimsy and fun, underscored by epicness, and the last notes leave you with an impending sense that something larger is coming (new friends, new villains, lots of feelings? Probably!) Plus, some of the sounds in the song are sampled from Aivi’s cat toys— how great is that? Lapis is a character who, with her graceful water wings and pretty blue color scheme, looks serene and peaceful… but as befits our ocean Gem, there’s an awful lot of danger lurking beneath the surface. “I Am Lapis Lazuli” captures this duality perfectly. It begins with a slow build, growing louder and louder, until it hits you like a sudden wave, Lapis’s usual piano and strings becoming lost beneath the discordant crash of drums and cymbals. 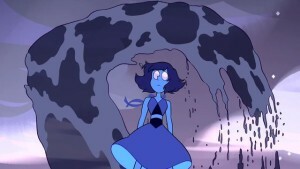 It conveys Lapis’s fear, rage, and power as she announces her personhood to the people who kept her prisoner for so long. Something else worth noticing is how this song shares musical motifs from the piece “Water Damage”… which appeared all the way back in episode three, Cheeseburger Backpack. Are the similarities purely thematic, or is this a subtle piece of foreshadowing hinting towards the Water Witch’s mysterious history? 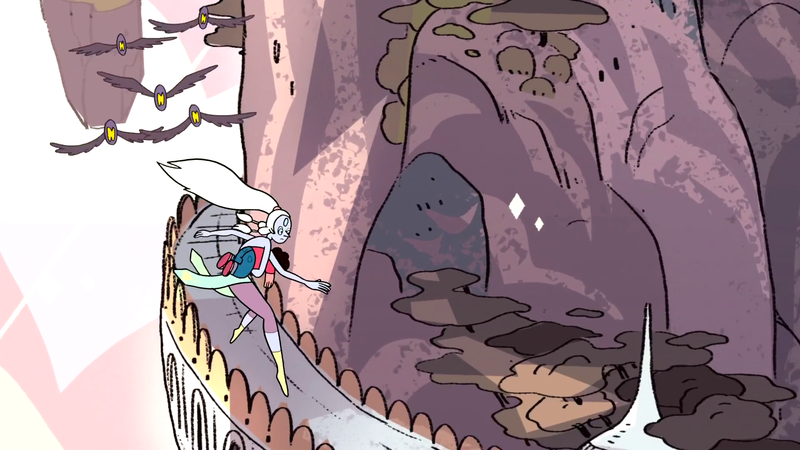 I can tell you the exact moment I fell for Steven Universe: when Opal’s arms busted through the bird in Giant Woman, and she slides down the Heaven Beetle’s abode while her theme plays. 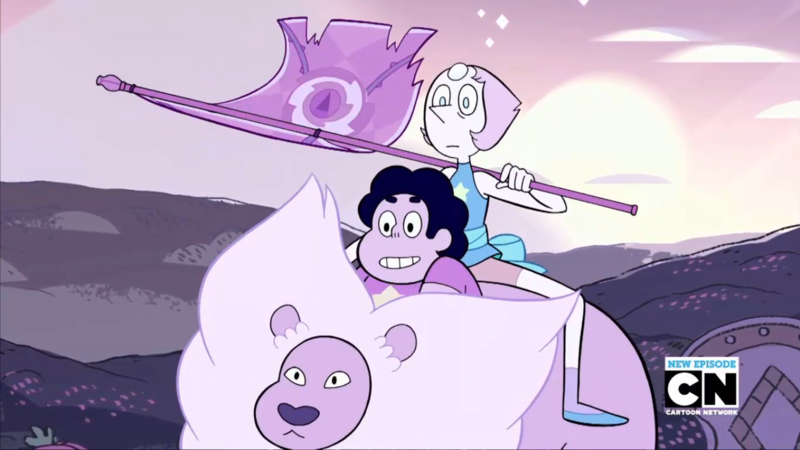 Amethyst’s drums and Pearl’s piano go together marvelously, and we could not have asked for a better overall introduction to Fusion than Opal. This moment of harmony between Crystal Gems is a sad rarity in the first part of season 1– coming to a head with “Defective” in On the Run, a song which borrows from “Opal,” but makes the meshing of motifs discordant and offputting. Amethyst and Pearl worked out their differences and their relationship has been getting stronger ever since, as Opal’s brief cameo in season 2 episode Log Date 7 15 2 exemplifies. I’m confident we haven’t seen the last of the giant woman or her theme. 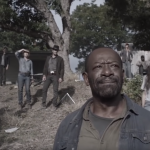 This episode is one of the strongest, most poignant ones in the show’s repertoire, and this piece is one of the main reasons for it. 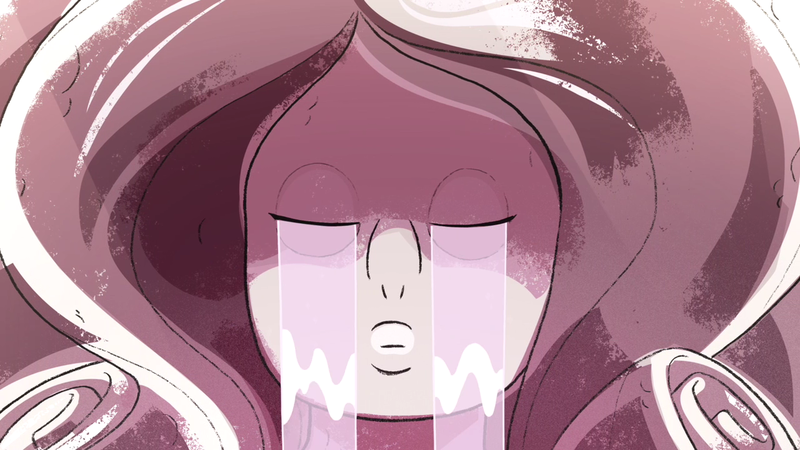 After Steven comforts an emotionally distraught, grief-stricken Pearl, thee writers allowed for the final minute of the episode to play out without a single word, with the music and visuals instead speaking entirely for themselves. This piece is quiet and melodic, with an undeniable undercurrent of sadness. 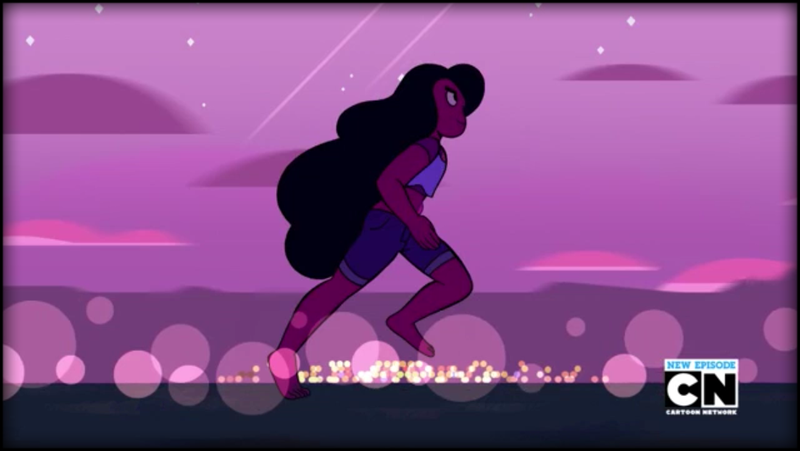 A particularly clever touch by Aivi and Surasshu is how they gently weave in motifs from “Do It For Her”, a season two song which also explores Pearl’s deep devotion to Rose Quartz and the unhealthy fallout of their relationship. 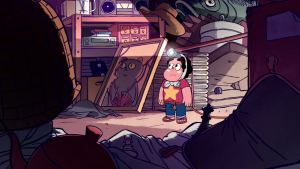 But “I’m Still Here” is not a sad song, though it is bittersweet– ultimately, its tone is both reminiscent and hopeful, matching what we see as Pearl and Steven bond over stories of battles long past. 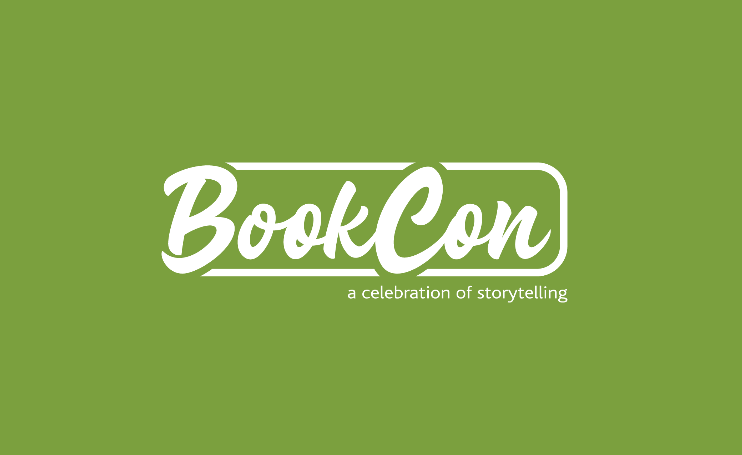 We considered putting an honorable mentions here… but to be quite frank, that would be a long list indeed. So many of the songs from this soundtrack are just so good, often in very different ways. That’s a testament indeed, to Aivi and Surasshu, to the writing team’s communication with them, and to the entire crew’s attention to detail. So let’s leave it at this; if we missed one of your favorites, why don’t you share it in the comments, so we can all have the chance to enjoy?